Aamanns 1921 is inspired by the impressive aesthetics of the church room, and it is no coincidence. 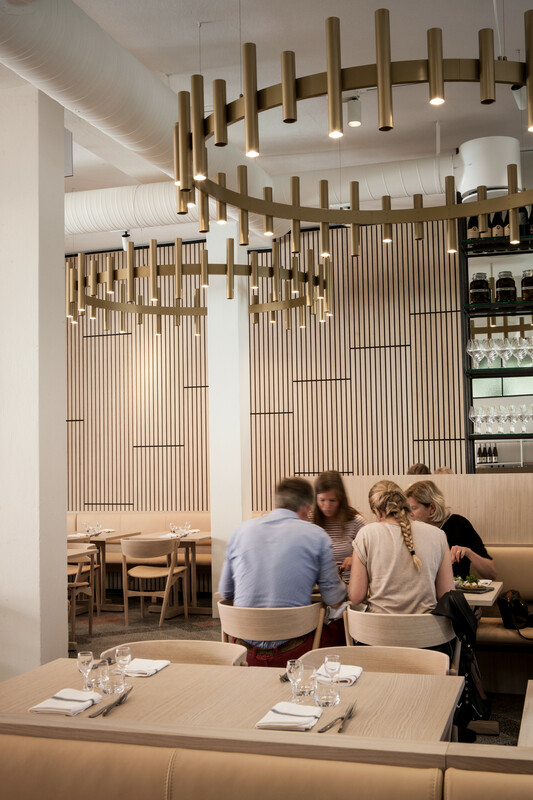 At Adam Aamann's new top restaurant, raw materials and taste impressions come up, and he describes his new restaurant in Niels Hemmingsens Gade as a food temple and a long-standing dream that finally comes true. 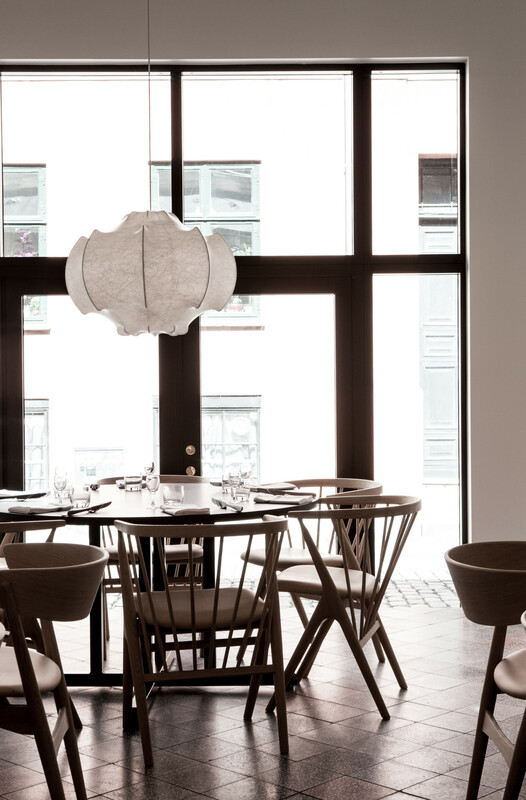 For more than three years, Aamann has been looking for suitable premises in Copenhagen. 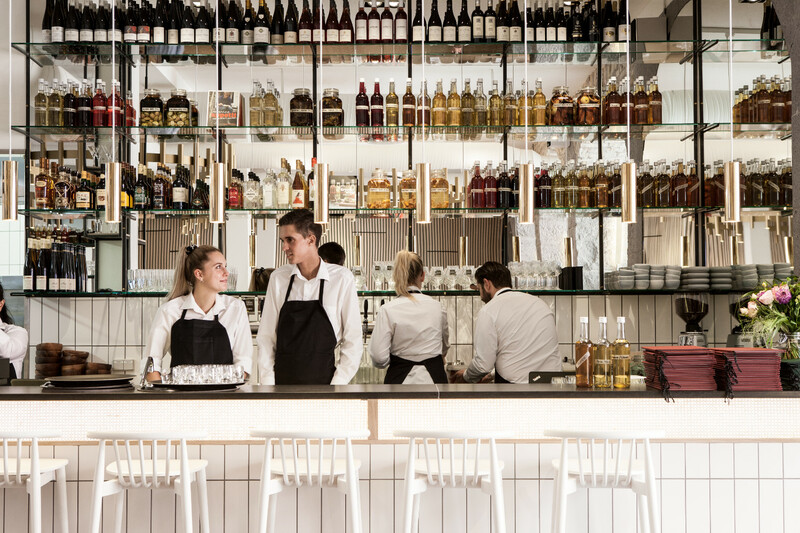 An old bookshop in charming Niels Hemmingsen Street proved to be the perfect setting for the restaurant that is now open. 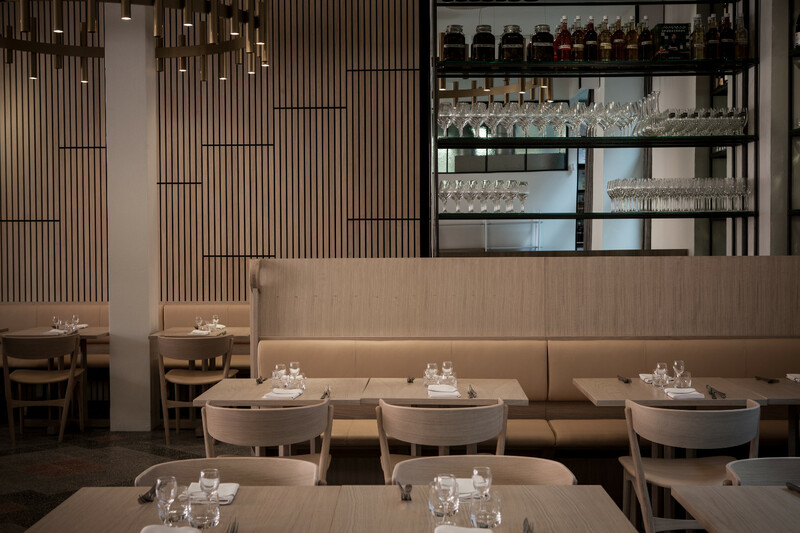 - It's always been important to us to serve good produce and familiar cooking, but with a surprising twist that elevates the flavor in a different way than you immediately expect, says Adam Aamann about his menu. 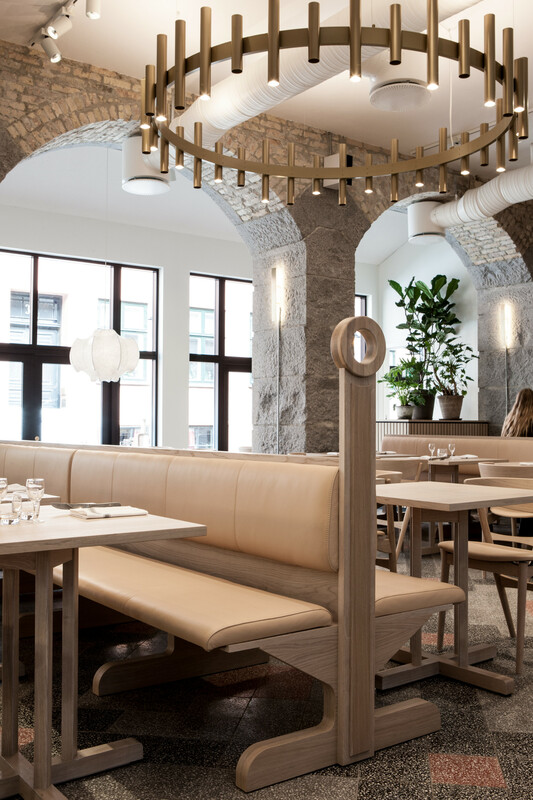 Magic dining experiences require magical surroundings; At Aamanns 1921, guests are met with high ceilings, clean lines, light materials, an imaginative terrazzo floor and impressive brass chandeliers. 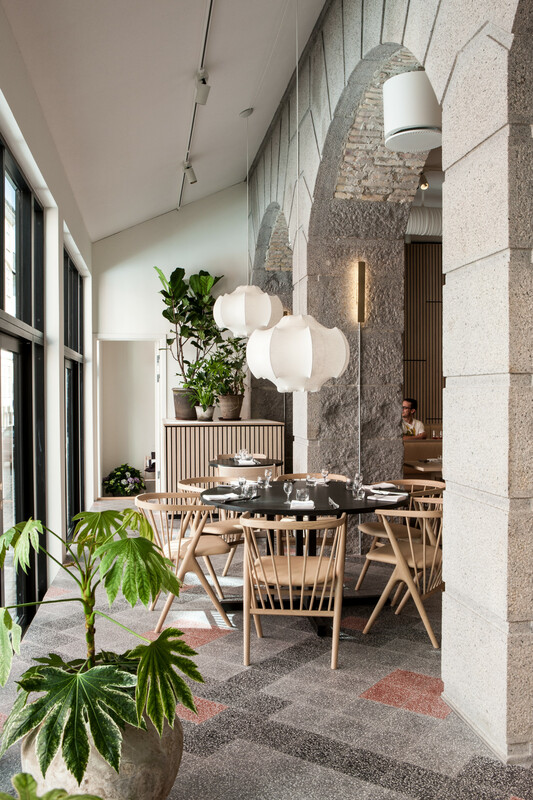 The decor did not even exist when the team began the extensive renovation of the historic premises. Most surprisingly, the basement back from World War II was registered as a public protection area. 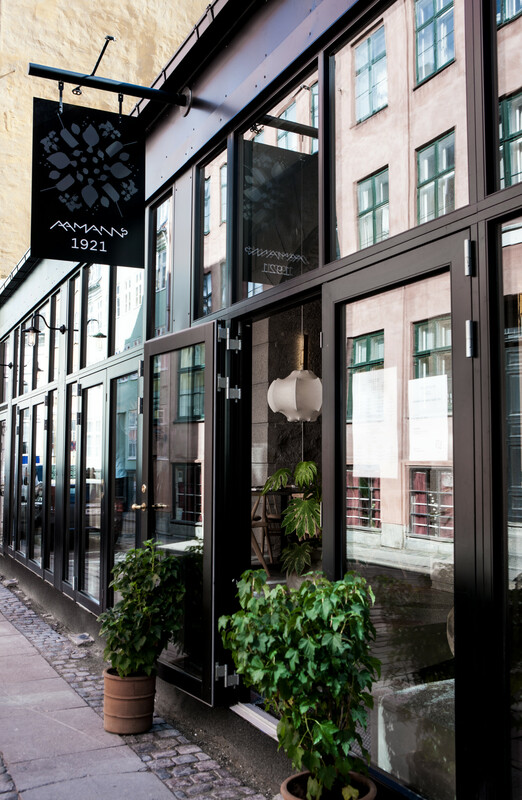 For the first time since the war, the basement is actively used and will act as an integral part of the restaurant in Aamanns 1921 as well as for the production of spices and flour. 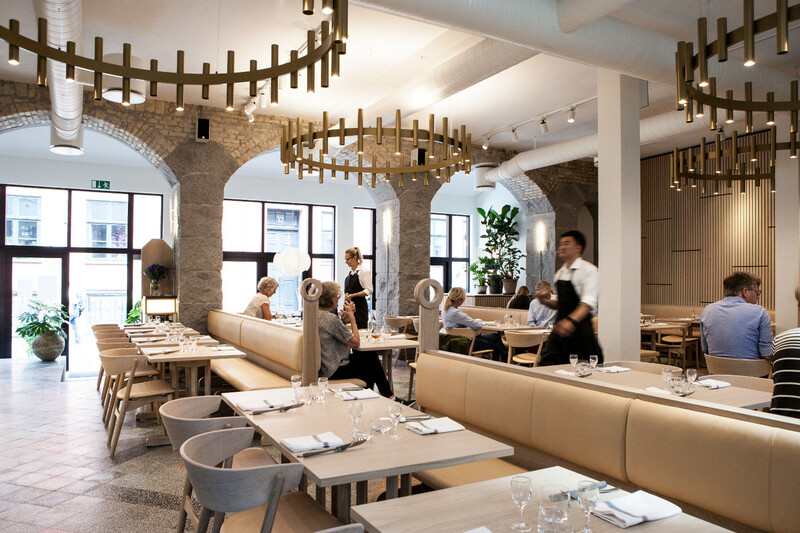 The mastermind behind the interior of Aamanns 1921 is Anders Busk Faarborg from All That Matters Design, who previously designed Aamann's restaurants in both New York and Copenhagen. - The crucial thing has been to ensure some surroundings that do not disrupt, but leaves the scene to what it's all about: Raw produce and flavors. When guests come here, they should be able to focus 110% on what is on the plate. 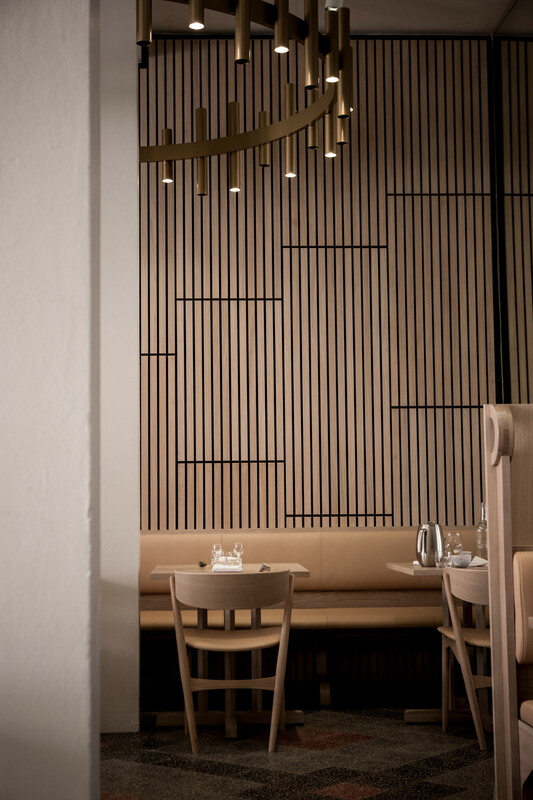 That demands a space where aesthetics and function merge, and therefore we have obtained custom-made handmade interior made of solid natural materials that reflect the same quality-conscious approach to the decor as for cooking, Anders Busk Faarborg says.